Less than a week left until Thanksgiving, and there’s still so much planning to do. It just really hit me yesterday that Thanksgiving is next week. That means I’m going to have to start shopping for ingredients because I promised myself I’m going to try to stay ahead this year. I don’t want to have to run to the local supermarket for that one ingredient that I’m missing, which seems to happen every year. Somehow we always end up waiting in a super long line for that one ingredient we forgot. Green beans, or haricot vert, in a creamy mushroom bacon sauce topped with crispy fried onions. 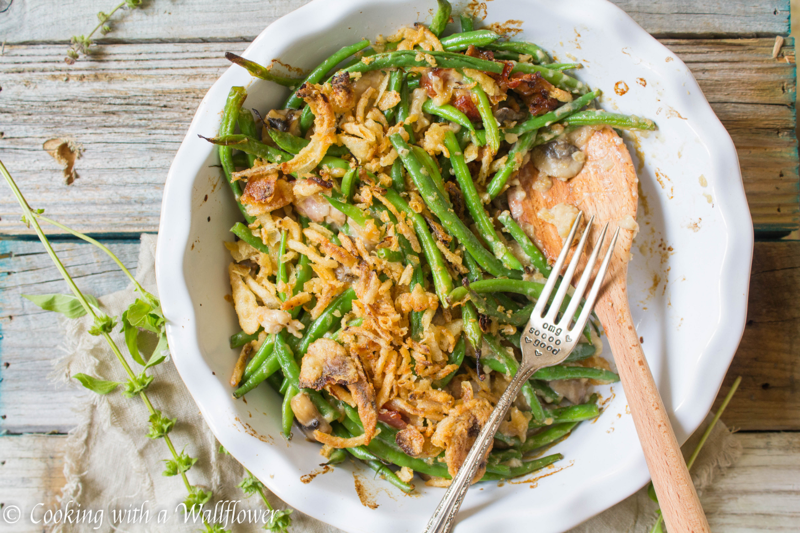 This creamy green bean casserole with bacon and mushrooms is delicious and perfect as a side. Brussels sprouts tossed with creole seasoning then roasted with bacon and garlic. 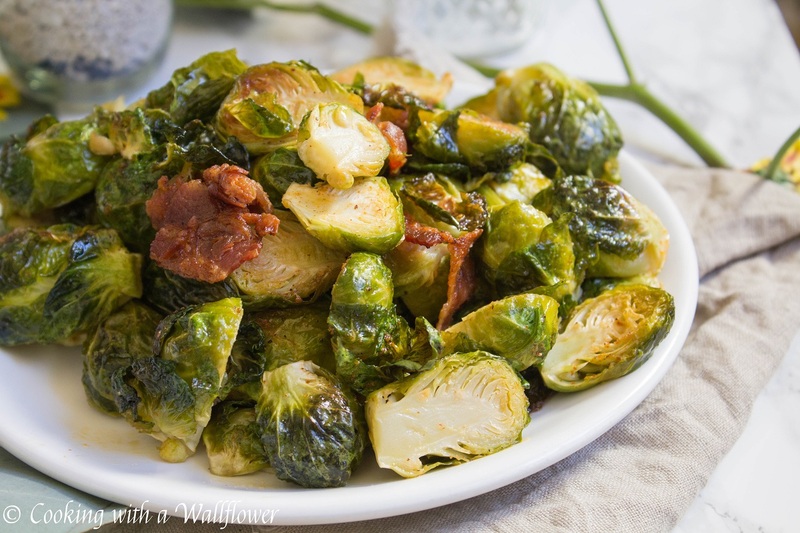 These roasted garlic brussels sprouts with bacon are soo delicious and perfect as a side. 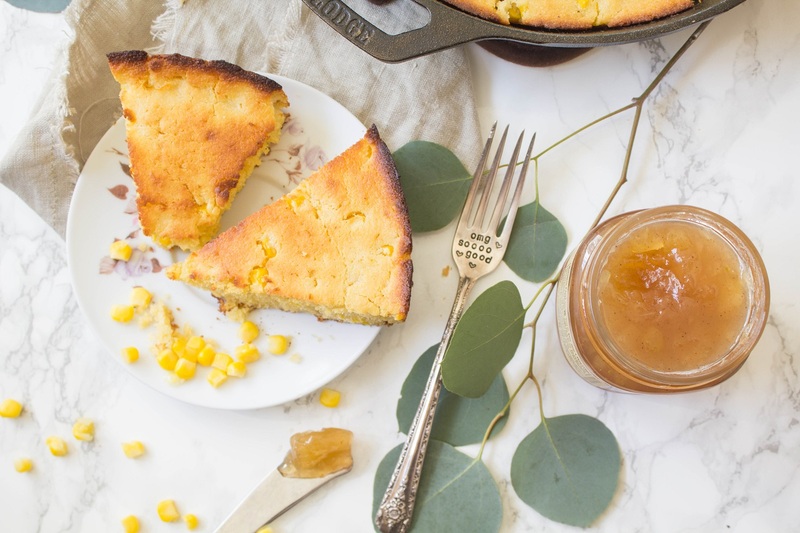 Cheesy biscuits that are fluffy and slightly crispy on the outside served with creamy honey butter. 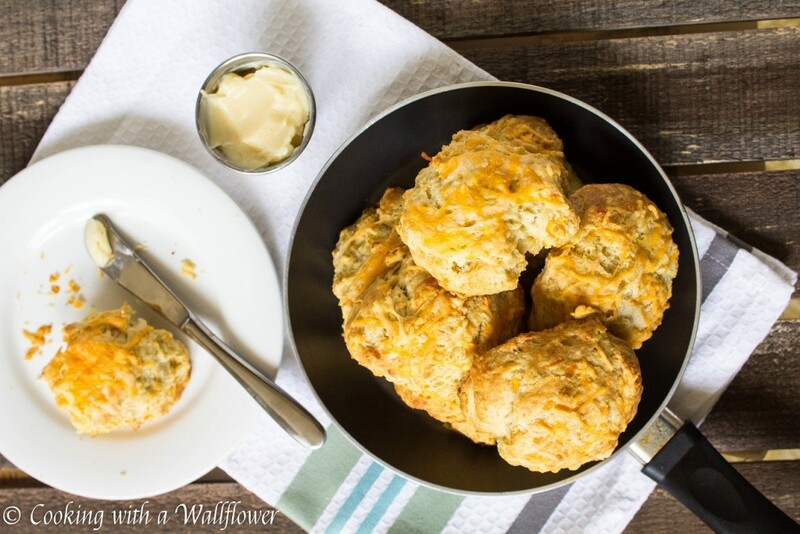 These cheddar biscuits with honey butter are the perfect way to start a meal. 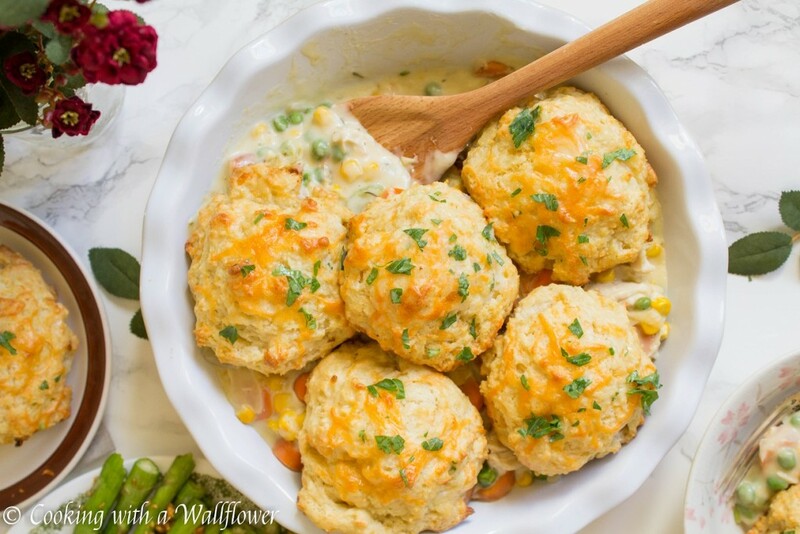 Creamy chicken pot pie filled with carrots, celery, corn, and peas then topped with garlic cheddar biscuits. 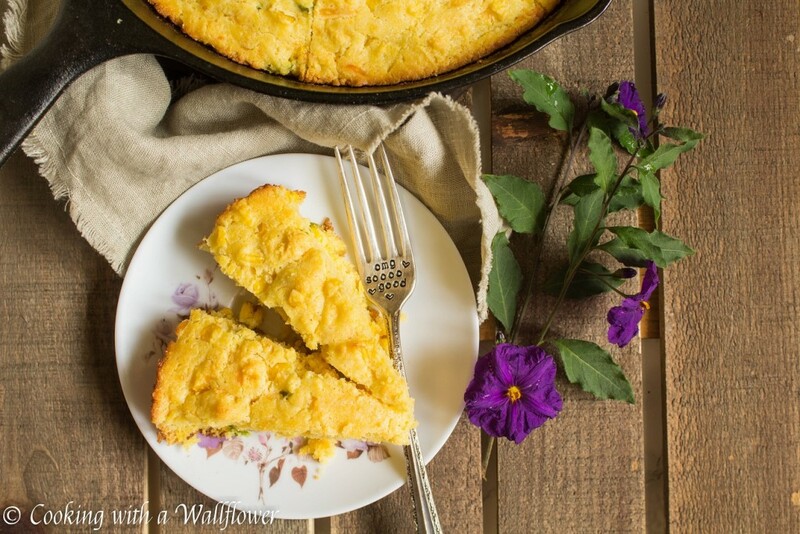 This chicken pot pie with garlic cheddar biscuits is delicious and the perfect comfort food. Double crusted pie filled with warm cinnamon apples and pears. 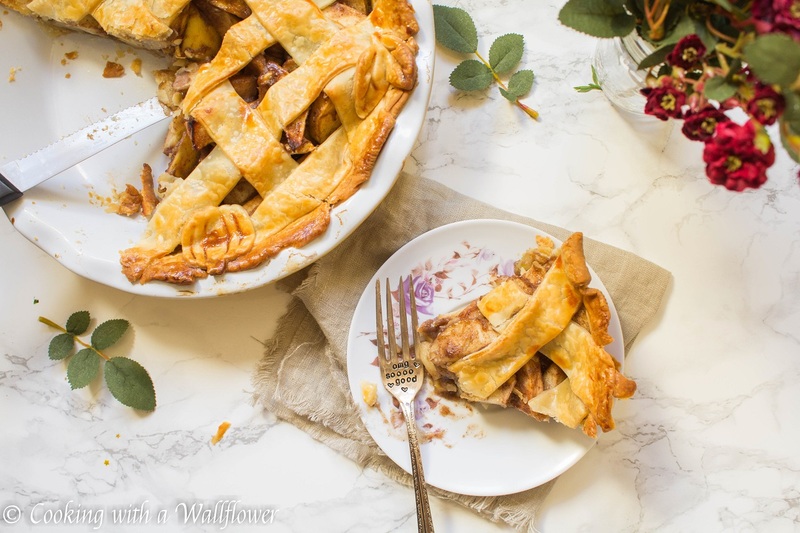 This delicious apple pear pie is the perfect dessert for fall. Sweet apples with tart cranberries baked in a double pie crust. 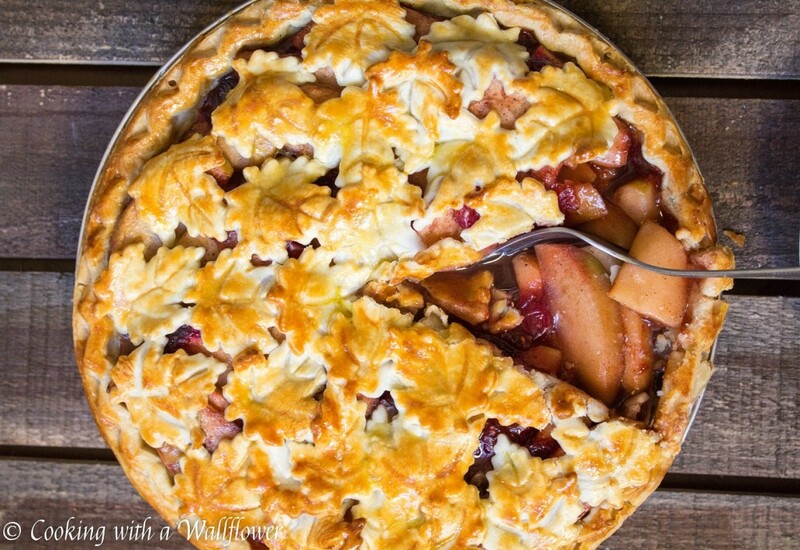 This apple cranberry pie is so delicious and perfect for transitioning from fall to winter. Fresh apples and pears cooked with cinnamon sticks, cloves, all spice, and nutmeg. 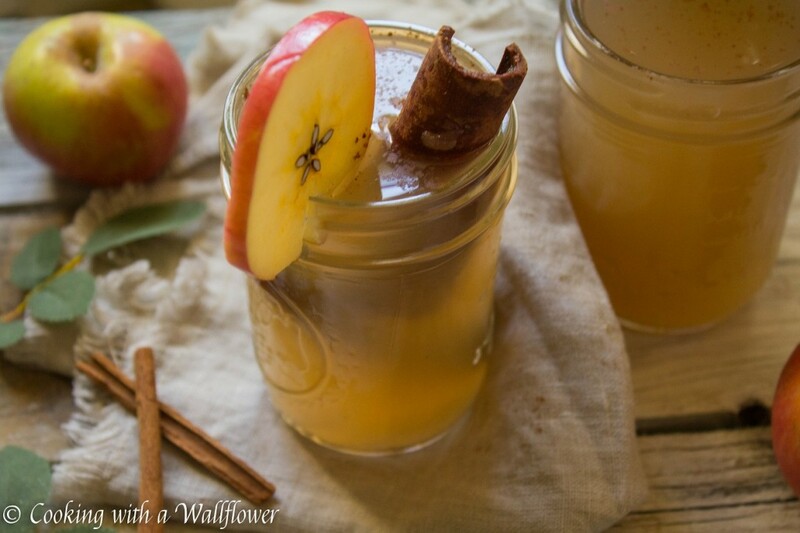 This delicious slightly sweetened spiced apple pear cider is the perfect drink for fall. Fresh apple cider topped with bubbly champagne and cinnamon sticks. 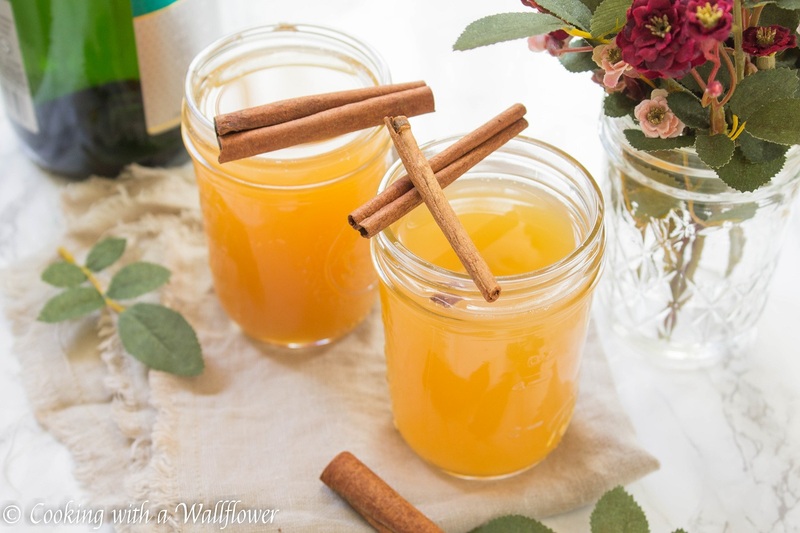 These apple cider mimosas are perfect for new year’s day brunch! 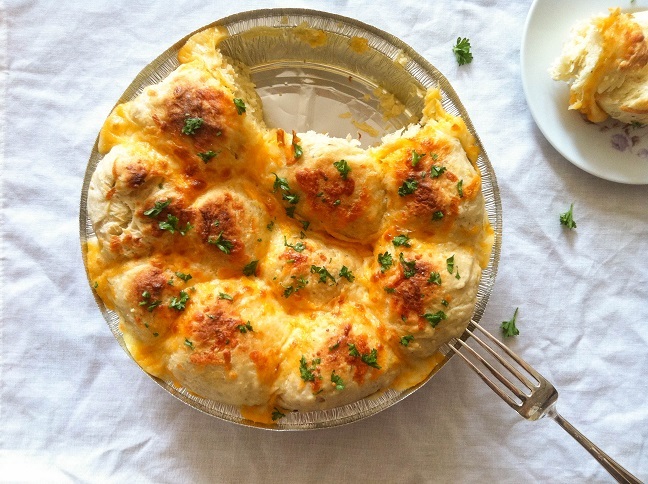 This entry was posted in Roundup and tagged Recommendations, round ups, Thanksgiving recipes. Wow! I will be trying some of these! Thank you, Andrea! Im in desperate need of…shall we say..kitchen inspiration? Shared this with my spouse. 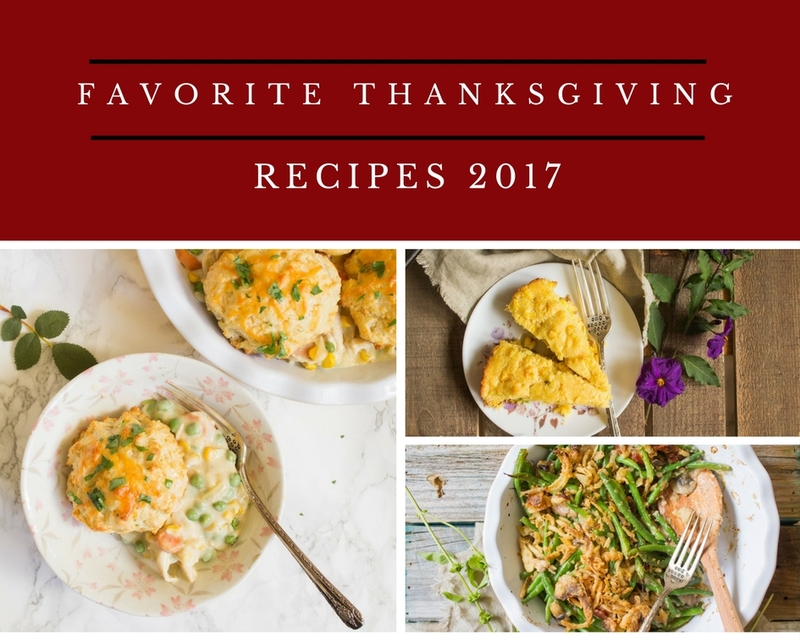 Utterly smashing recipes for me to try ~ even though we don’t have Thanksgiving in England. Im so sad you Brits don’t get to celebrate a Thanksgiving holiday–what?! Perhaps you all could start a petition and invent one–there is so much to be thankful for of course in England….